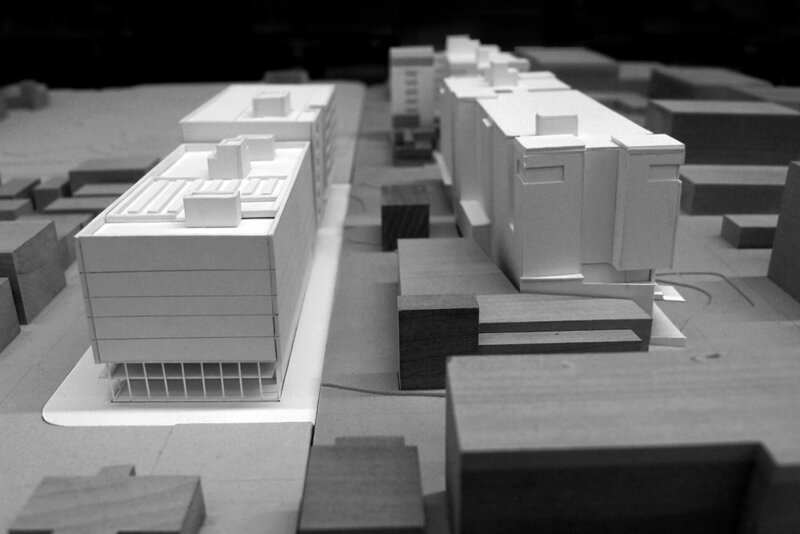 After a decade's worth of grassroots work reaching out to the neighborhood, gathering data and developing design guidelines based on community feedback, Schemata Workshop partnered with Hewitt and Gerding Edlen to design a mixed-used urban community on the land above the Capitol Hill Link Station. 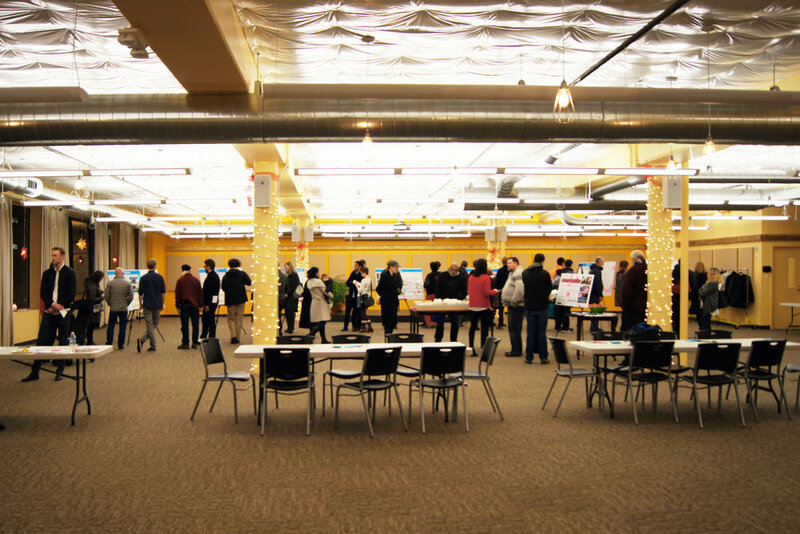 An iterative design process balanced feedback from clients, multiple neighborhood group meetings, and open houses, as well as feedback through Seattle’s Design Review process, illustrating the impressive number of stakeholders in this project. A vision of sustainability and equity designed to contribute to the vibrant life of Capitol Hill was the product of a community-driven effort in 2009 by a team effort from Schemata Workshop & MAKERS. A subsequent City-led master-planning effort in 2012 provided for both market-rate and affordable housing, an array of small to large retail spaces, and community-oriented venues. 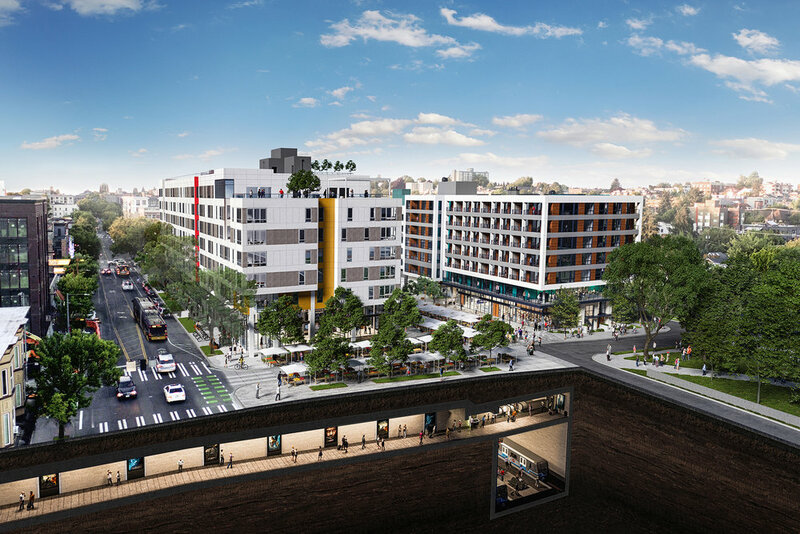 The project embraces the new, underground Capitol Hill light-rail station, position transit to serve both residents of Capitol Hill and as a regional and pedestrian-friendly eat-shop-play destination. Over 400 units of 1-, 2-, and 3-bedroom apartments are included, of which approximately 38% will be affordable — at or below 60% of Seattle Area Median Income. 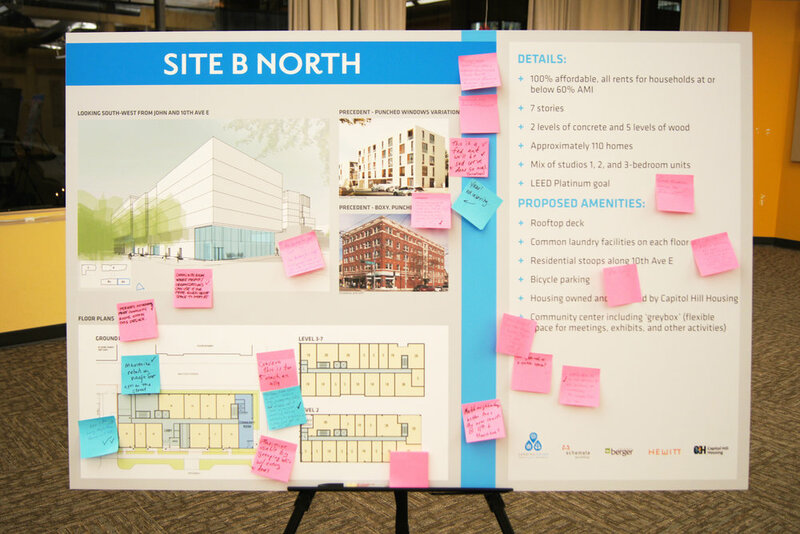 A community center will anchor the northeast corner at John Street and will provide community members with a space for meetings and other events. At the center of the proposal, and above the train station, is a public plaza to host the year-round Capitol Hill Farmers Market. A large market hall adjacent to the plaza will host additional local vendors in a high-energy, interior environment. 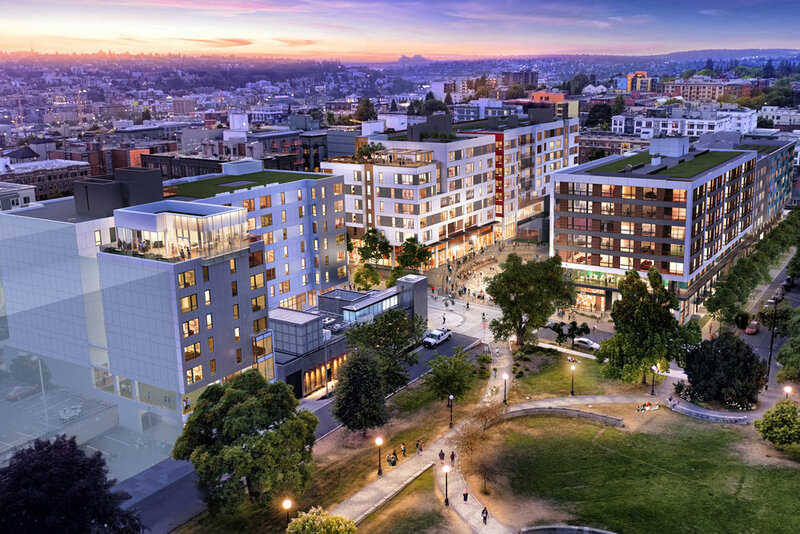 The variety of retail and housing types, the collaboration between designers and the community, and the generous public spaces reflect the neighborhood’s diverse history, vibrant character and visionary aspirations for Capitol Hill. Renderings courtesy of Bogza and the Berger Partnership.